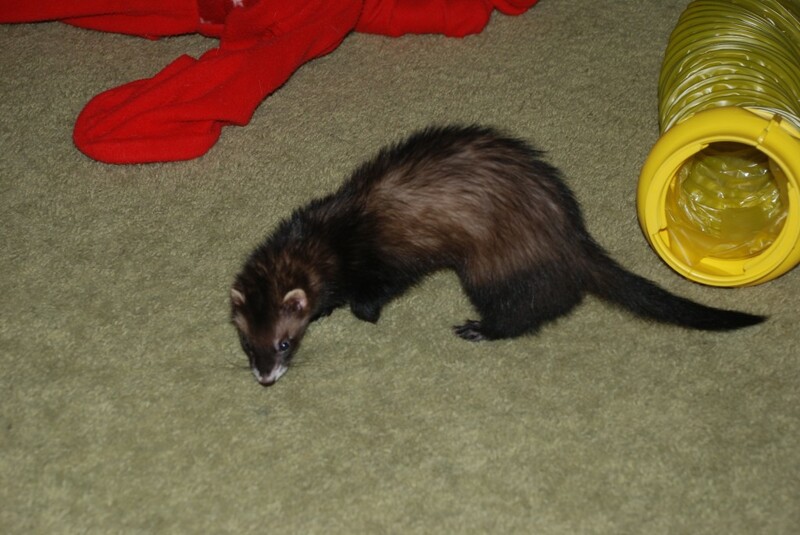 Pepper was one of the ferrets in residence with our cousins across the state. She got to enjoy playtimes with our ferrets when we visited for holidays! She began having health issues in late 2016, and as they got worse very quickly, it came time to let her go. She lived a long life with many fellow ferrets in it, and at the end was a true ferret-parrot who would ride around with her humans on their shoulders or in hoodies to see all the wonders of the world. 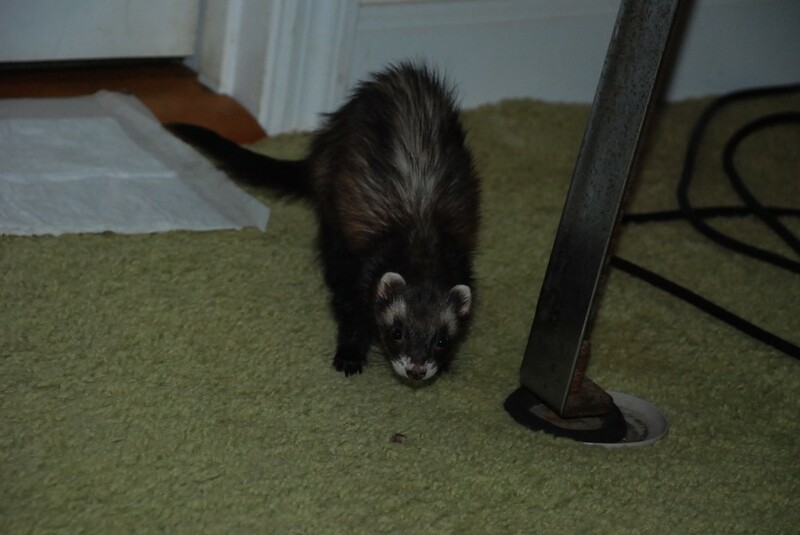 With her passing, my cousins no longer have any ferrets. But they are awesome and kept a cage handy so I can still bring mine to visit!